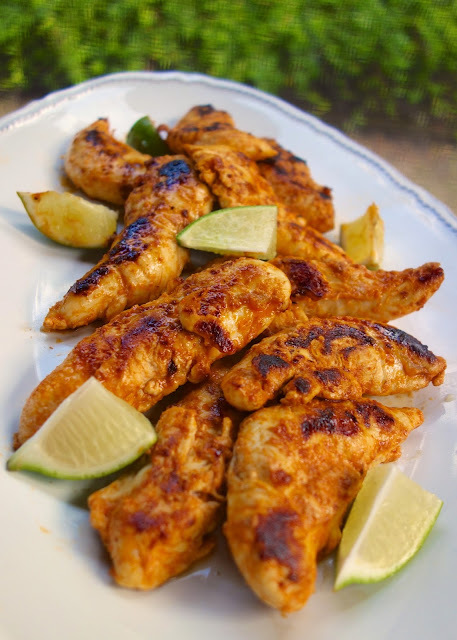 Buffalo Lime Chicken - chicken marinated in buffalo sauce and lime - grill, pan sear or bake for a quick weeknight meal. Ready to eat in 15 minutes! I love spicy food, especially buffalo chicken. 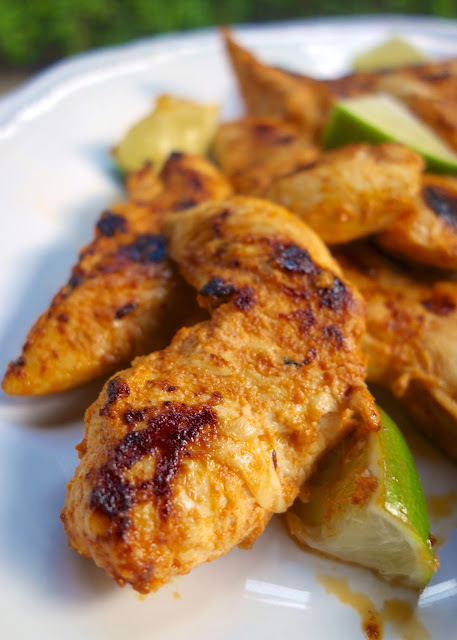 This chicken is marinated in wing sauce and lime juice. I loved the zing the lime juice gave the chicken. I was worried that the chicken would be super hot, but it really wasn't. It had a great buffalo sauce flavor to it. This chicken was so easy to make. I had everything in the pantry and was able to just throw this together in minutes. I let the chicken marinate in the refrigerator all day. I cooked the chicken in a sauté pan, but these would also be great grilled. We both really liked this chicken. It is definitely going into the dinner rotation. Whisk together hot sauce, lime juice, garlic, oil and salt. Pour over chicken and marinate a few hours to overnight. This sounds FANTASTIC! I have every single ingredient on hand except for chicken tenders. But I have shrimp! Might this work for that? I might try it tonight! Diana - I think this would be great on shrimp! Let me know how it turns out. I am going to give shrimp a try too! I have really enjoyed your recipes since I found your site last year.. but recently it is taking so long just to even load the page..basically, cannot use your site. I am assuming its bc of the ads. any chance you might go back to less ads to make it easier to browse yur blog??? Please! I love checking your site to make my weekly meal plans. Thanks! Looks & sounds delicious! Just curious... Were these breaded frozen tenders? Like Tyson brand? Corinne- I used raw, uncooked chicken tenderloins. I like that extra touch of lime juice, wakens it up a bit. This sounds wonderful and I think I'm gonna add my own twist and sprinkle ranch seasoning over it before cooking. YUMMO! Served these with grilled pineapple last night. Yum!